Yngwie Malmsteen is coming to the brand new Fillmore Silver Spring on Saturday 15 October 2011 and DCHeavyMetal.com has tickets to give away. All you have to do to enter to win is post in the comments below why you’re a fan of Yngwie and/or why you’d like to go to this show. On Friday the 14th of October 2011 at 6pm EST I’ll pick a winner at random (using Random.org) from all the valid entries below to win the pair of tickets to this show! Be sure to enter using an email address you check regularly so I can contact you when you win. And I won’t add you to any email lists or anything either, I hate spam as much as you do. Yngwie Malmsteen is a neo-classical heavy metal guitar player known for his incredible skill and technique. The guy can solo and shred to an extreme level and is one of the best guitar players in the world. The guitar virtuoso will be playing a Saturday night show at the brand new Fillmore in Silver Spring, Maryland this weekend. Fans of technical guitar playing will not want to miss this. This tour is to support he most recent album, Relentless, which was released last year. Opening for Yngwie will be Washington DC’s own The Jones, a bluesy rock band. If you simply can’t wait to get tickets you can pick them up from Live Nation here for $25. The doors open at 7pm and should be a great night of shred in Silver Spring. After you’ve entered the contest check out this promotional video Yngwie put out for this tour, it should give you an idea of what to expect. I’d LOVE to see Yngwie. The guy is a legend. 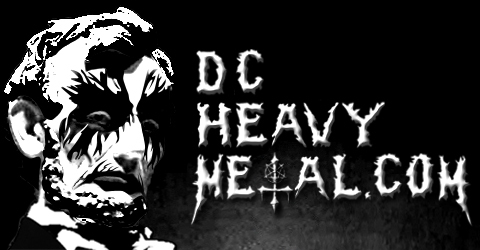 The closest I got was he opened for Triumph in Kansas City back in 85 and I had a 3 hour drive and missed seeing Yngwie. Unemployment now will force me to miss him. 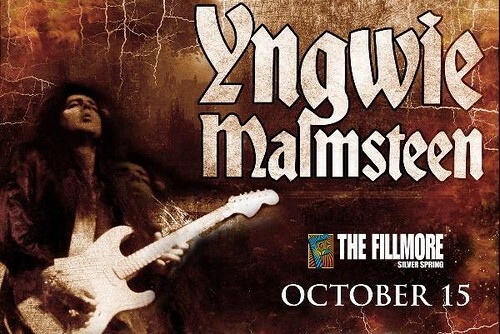 You’re the lucky winner of the pair of tickets to see Yngwie tomorrow! I want the tix because he’s basically the greatest solo virtuoso ever, as far as I’m concerned. I love Rising Force so much. lol that video was the perfect representation of his entire oeuvre. I NEED to see that old wanker. Not want, NEED!!! Yngwie Malmsteen kills dragons. If I see him perform, maybe then I too will be able to kill dragons.